CONNECTING ROD WITH SMALL END BUSH. FULL CNC Machined 94.17mm Centres. 16.5mm Wide S/E with Special Bush for 17mm Gudgeon Pin & 20mm Wide B/E with 30mm Bore for 24mm Crank Pin. Best Grade Quality Fits TKM K4S Engine Full CNC Machined. SMALL END BUSH for Con Rod. Fits TKM K4S Engine Requires finish machining when pressed into con-rod. 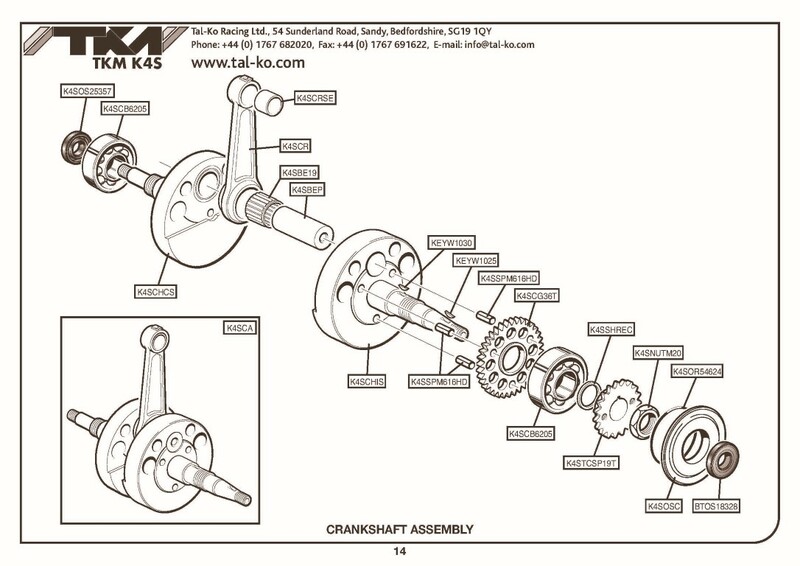 CRANK RECESSED SHIM. For Older Model TKM K4S Engines. Used to make crank have end float.